Consistency. This is a quality of dance music that’s hard to achieve, especially given the pressure labels and producers have to come out with release after release in order to stay relevant in people’s newsfeeds. After some point, you are bound to drop the ball. However, consistency is exactly what has been achieved by the prolific entities that are the subject of today’s post. On one hand, you have the artist Aroop Roy – who throughout his decade-long career has been a reliable source for house, music fans with proclivities for more organic genres such as jazz, afrobeat, latin, and funk. On the other, you have London based label Delusions of Grandeur, run by certified legend Jamie Odell (better known as Jimpster). In terms of my musical journey, there are few labels out there that have exposed me to more of my favorite artists than DoG. Their releases from Recloose, 6th Borough Project, and Session Victim showed me beyond a reasonable doubt that jazz and house music can co-exist and it’ll sound bloody amazing while doing so. Well, the wait is finally over! We were fortunate enough to get our hands on the lead track from the EP. 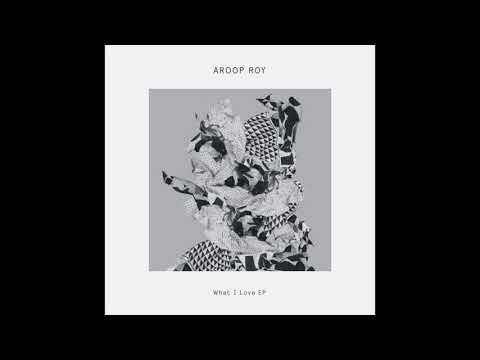 Off the jump, Aroop Roy builds the foundation of the song with a mixture of breakbeat, drumming and fleeting vocals that bellow out the key phrase “I love…” From there, the UK producer works in his signature assortment of synth stabs and sequenced melodies that have acted as his trademark sound. The real meat of the tune happens around the breakdown at the 3-minute mark, where you hear all these elements playfully deconstructed and put back together – acting as a brief respite for listeners before the floor-to-floor workout is brought right back in. For those that already have their wallet in their hand from reading this, you can pre-order your copy of What I Love by following this link right here!